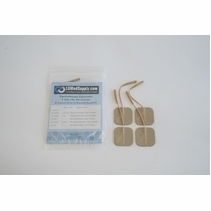 This Lower Back Strip Electrode Pad lasts for approximately 20-30 uses. 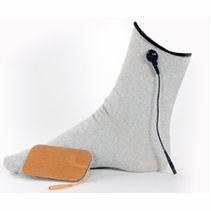 The Back Strip Electrode Pad is perfect for Lower Back Pain Relief. 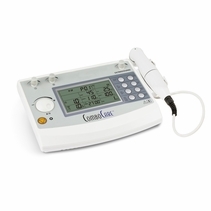 It simply connects to both lead wires on any standard TENS Unit and/or Muscle Stimulator. 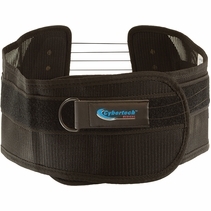 This Lower Back Strip Electrode provides exceptional conductivity to the entire lower back area. SAVE ON SHIPPING! 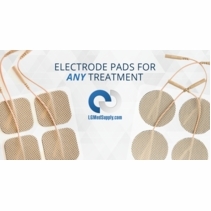 Purchase $30.00 Dollars or More on Electrode Pads and Get $5.00 OFF YOUR SHIPPING Today! Simply Type in Coupon Code - ELECTRODES - at Checkout and Receive an Immediate $5.00 Discount. NOT ALL PADS ARE CREATED EQUAL We carry to very best, PREMIUM Electrode Pads. What that means that with proper care, you can expect to get up to 20-30 treatments with one set of pads. 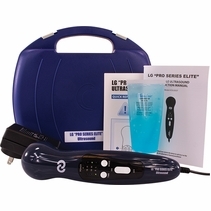 Many electrodes on the market are made with cheap gel that can cause irritation and only last for several treatments. 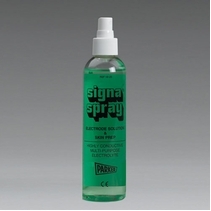 Our Electrode Pads contain the very best gels in terms of conductivity and longevity. They are non-irritating to the skin. 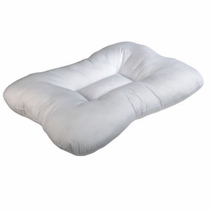 providing your added comfort, reusability and performance you desire. The more Electrode Pads that you buy, the more you save! Simply add the amount electrode pads you would like to order in the quantity area and you will receive substantial discounts based on the quantity. Our electrode pads work on 98% of the units on the market. Our electrodes come with a Satisfaction Guarantee. It's Simple. Get quality Electrode Pads. If you purchase High Quality Electrode Pads, they last long and your unit works better and provides you with outstanding results. They will save you money in the long run by providing you with multiple use - up to a month of treatments - before replacing. Special Lower Back Pain Strip 4 It does a good job of treating my back exactly where I need it. 5 After using the individual electrodes for years, I ordered the lower back strips this time and wonder why I waited so long! They are simply amazing...stay in place...last a long time...easy to get in just the right place for my lower back! 5 I have been using tens units with 1.5 x 1.5 pads for years and recently tried the 14" strips. They are more convenient to apply and I feel the stimulation more evenly and soothing. I highly recommend them for chronic back pain sufferers as I have suffered for 30+ years and this is the best relief I've ever had. 5 This is the best pain treatment! I tried on my Mom who sueffr with Artrosis, Ostheoporosis; this machine help her to relief her pain and make her feel very well. use it only following the directions. It works! Highly recommended. 5 This gives a better distribution across the low back than the two separate pads. Very convenient to connect up and attach. What else is there to say Don't know about life but it seems to be better build than the standard adhesive electrodes. 5 these pads work great with my LG tens unit and any other unit with the same plug ends. I recommend them at this price. 5 I have lower back pains from an accident. I have tried the 2x2 and 2x3.5 which are good and work well but these 1.5 x 14 are great and work even better. They cover a much larger area in my lower back. These work and fell so good that I ordered 10 more just in case they decide not to make them anymore. To keep them fresh, I suggest to all who buy any type of Electrode to keep them in the frig where it is cold. If you feel that they don't stick too well anymore, try a drop or two of water on the sticky side of the electrode, spread these drops of water around, let it soak in for a minute and stick the backing back on until the next use. This will keep them going for even longer. 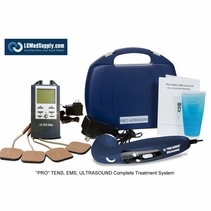 Thank you Amazon and LGMed Supply2 for carrying these great electrodes!!!! 5 Amazing... If you suffer from lower back pain you have got to try this product. This electrode works better then any other I have tried. It is soft and flexible and sticks phenomenally well. Most importantly, the pain disappears... I have gone to the chiropractor for years and used their professional machines and these electrodes make my little belt mounted TENS unit feels 10 times as powerful. 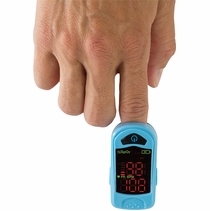 5 If you have low back pain and own a TENS unit try this product. There is really no reason to write a 500 word review, it works and it works well. I bought five of these thinking perhaps the quality for the price would be low, as it turned out I suspect these five will last me for at least a year if not longer. The quality of the construction is first rate, the gel adheres well even after a dozen uses and shows no sign of wearing out. The packaging makes it easy to put it up when I take it off and it shows no sign of fraying around the wires. 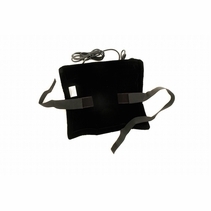 For the price this is a jewel, it allows me to cover my lumbar area with one channel and then use the second channel for two smaller electrodes where I need them on my piriformis and SI joint. 5 This is now my favorite type of electrode. The thin strip is comfortable and the extra long length provides the stimulation over a longer area which really seems to relax and massage the muscles more. Plus you only use one of the cords from the unit to the strip so there is less to tangle. It seems just as powerful as using 4 of the small rounds or squares. I ordered one to try it and after 1 day I ordered 4 more so I would have plenty of them since I'd never seen this type before. 5 This lower back strip is the best thing I've used as well as the only thing that has given me freedom to walk without narcotics and/or other pain meds. Great product - try it!